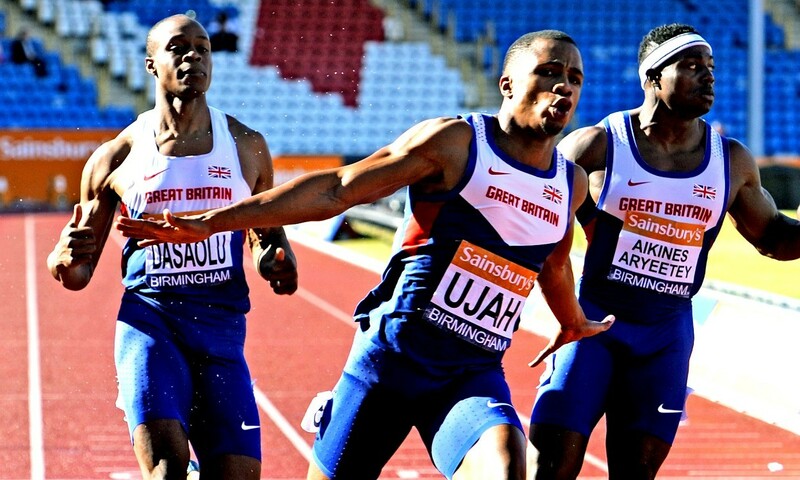 Birmingham’s Alexander Stadium will be the place to be this weekend (July 1-2) as GB stars of track and field battle at the British Athletics World Championships Team Trials. Places at this summer’s IAAF World Championships, which take place at the London Stadium on August 4-13, are up for grabs, while the 2017 British champion will also be crowned in every event during the weekend. The first two eligible athletes in each individual trials event will be automatically selected for the same event, provided the athlete is either the reigning European champion in that event or has the qualifying standard by midnight on July 9. Reigning world champions and 2016 Diamond League event series winners are automatically selected. Here are some of the events to look out for. For more, check out the four-page preview in the June 29 edition of AW magazine which includes an interview with Harry Aikines-Aryeetey, an event timetable, information on qualifying times and more. As usual the sprints will be among the most hotly-contested events with British sprinting having strength in depth like never before. Perhaps the tightest of all will be the men’s 200m with an incredible six men already with the qualifying standard of 20.44. Miguel Francis, CJ Ujah, Adam Gemili, Danny Talbot, Zharnel Hughes and Nethaneel Mitchell-Blake have all secured the standard. On the women’s side, Desiree Henry has the standard in both 100m (11.26) and 200m (23.10) along with Daryll Neita in the 100m and Katarina Johnson-Thompson, Bianca Williams, Ama Pipa and Shannon Hylton in the 200m. Dina Asher-Smith has yet to start her season following injury but is expected to be a contender in both distances along with Asha Philip and upcoming star Imani Lansiquot in the 100m and Jodie Williams and Cheriece Hylton in the 200m. In the eagerly-awaited women’s long jump European indoor silver medallist Lorraine Ugen, who already has the World Championships qualifying standard, is likely to be challenged by world silver medallist Shara Proctor and last year’s winner Jazmin Sawyers. Fresh from his hugely impressive win in the Oslo Diamond League Jake Wightman will be one of the favourites in the men’s 1500m. His 3:34.17 finish was his second time inside the World Championships standard of 3:36.00 this year. But he will not have it all his own way with last year’s champion Charlie Grice, Chris O’Hare and promising youngster Josh Kerr also inside the standard. In the women’s 800m, Shelayna Oskan-Clarke, Lynsey Sharp and Adelle Tracey have all run inside the qualifying standard of 2:01.00 with Katie Snowden, Alexandra Bell, Sarah McDonald and Marilyn Okoro just a second outside and looking to use the competitive nature of the Trials to their advantage.